Description: A green…thing is following you. It's really invading your personal space. 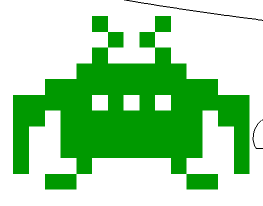 This item is a parody of the classic video game, Space Invaders.